Sylvia Ken is from Amata community in the Anangu Pitjantjatjara Yankunytjatjara (APY) lands in South Australia. She was born in 1965 and has been painting since 1999. 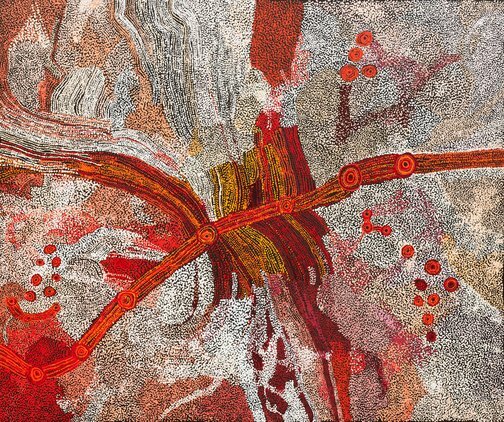 Her family are traditional owners for significant sites where the Seven Sisters story takes place. This painting refers to this story, the landscape that the story takes place in, as well as the characters in the story.